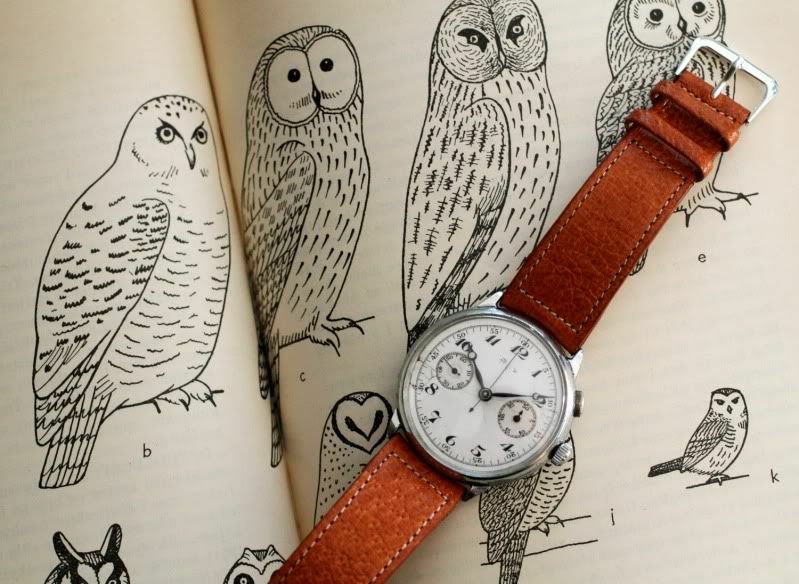 This is a very old Heuer one pusher chronograph. I have identified it as a Ref. 351 C/B. 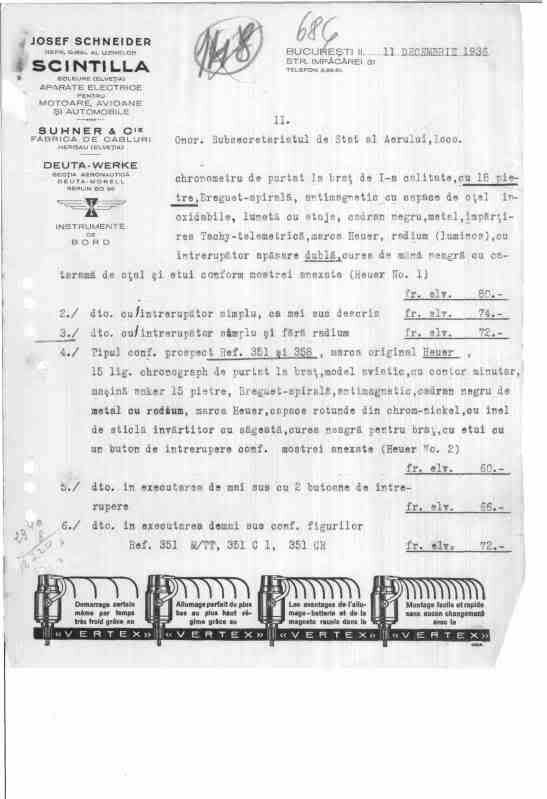 I found this chronograph included in an offer to the Romanian Military Aviation Authority made by Mr. Josef Schneider, the Romania Heuer agent in the 1930s. 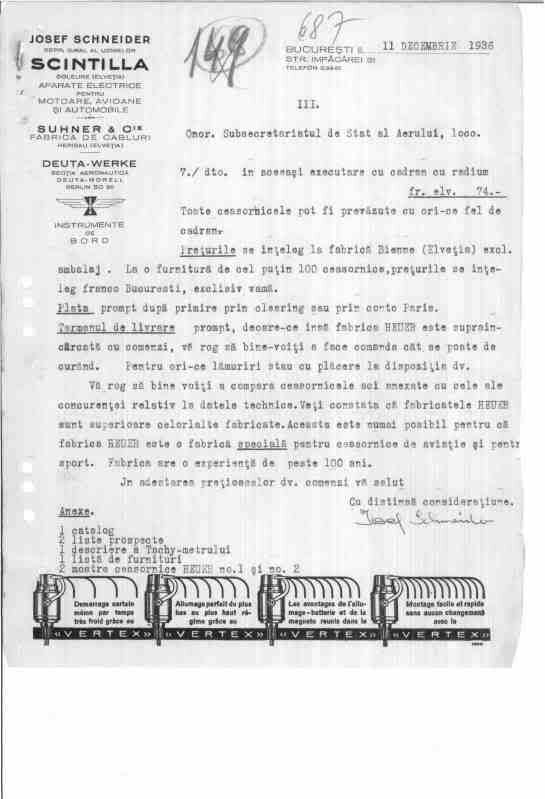 This is the original letter from Mr. Schneider to the Romanian Military dated 18th. December 1936. 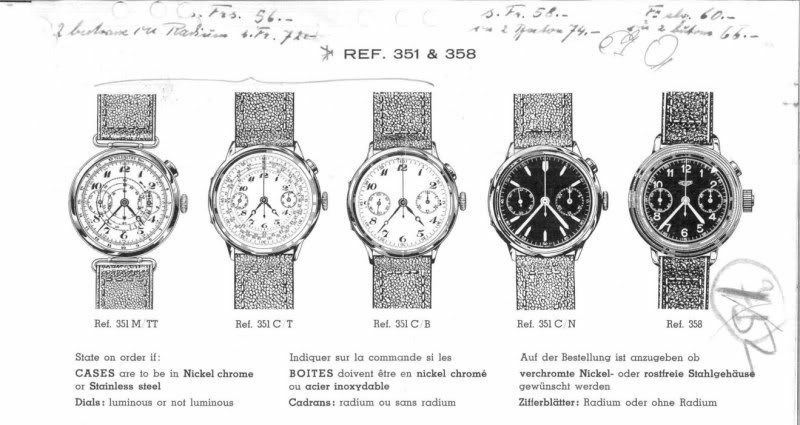 Heuer 1936 catalogue with the ref. 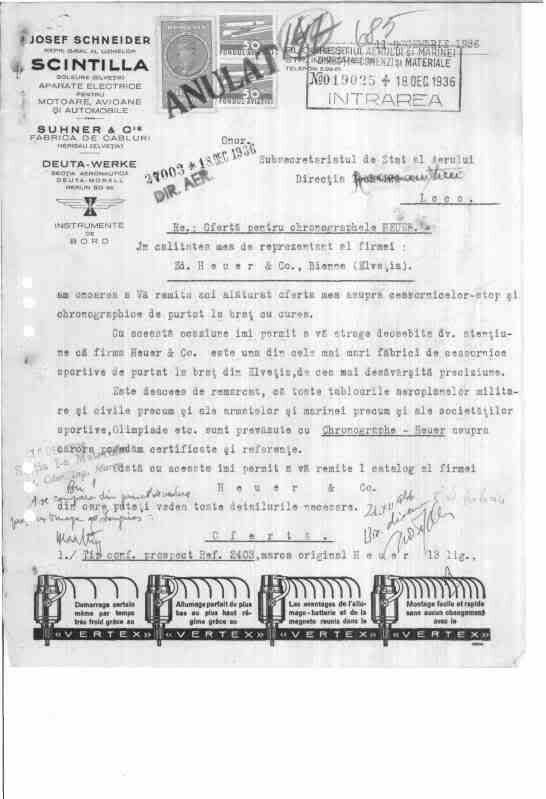 351 sendt from Mr. Schneider to the Romanian Military. 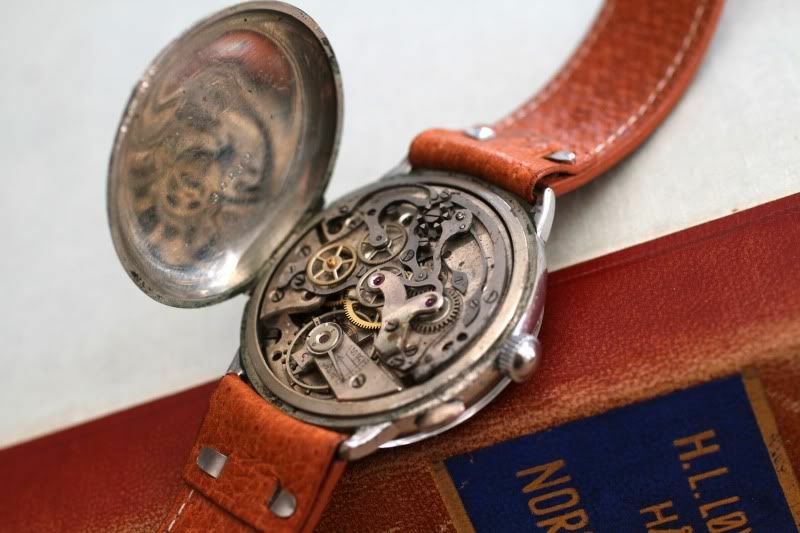 This old Heuer has an porcelain dial and a hinged caseback just like a pocket watch. 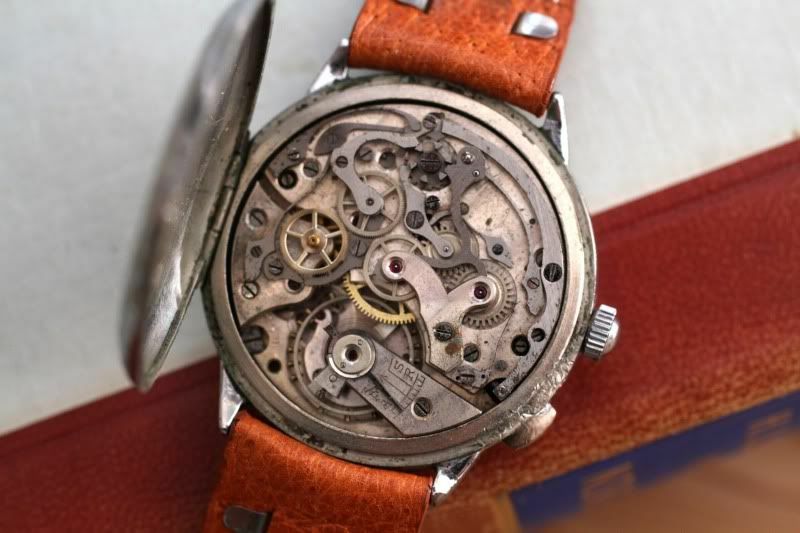 The movement is a early version of Valjoux 22, the Valjoux GH. The movement is rather big and the watch size is 40mm. The size is quite nice, almost as big as an automatic 1970s Autavia. The old Valjoux GH movement is still ticking. It was missing one of the big wheels, but I managed to find the missing part on Ebay. The movement is now complete and running. The early narrow Heuer logo is just still visible on the old porcelain dial. 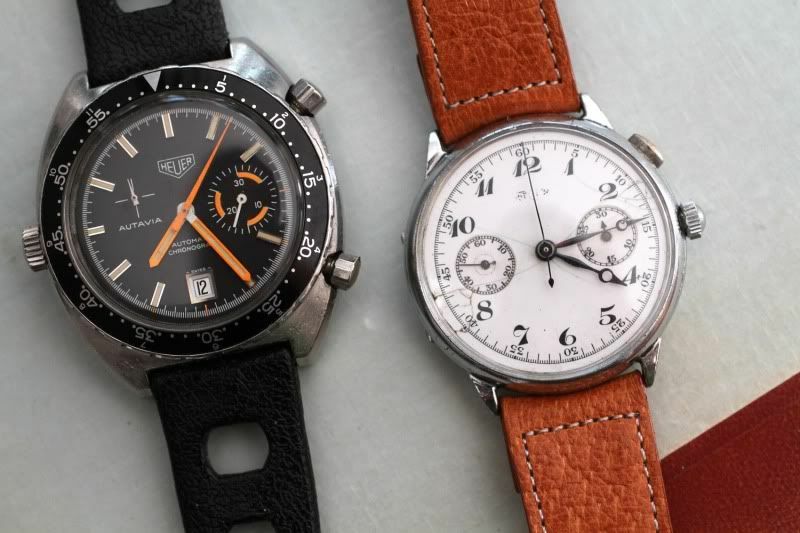 Most of the Heuers from this periode had no logo on the dial. 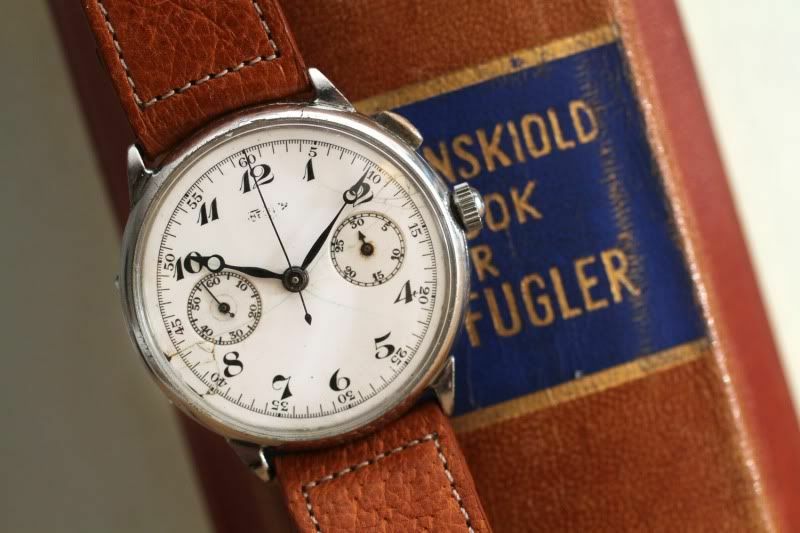 I think this big old chronograph looks very nice on a old stock open-end pigskin strap. Yes, I agree. there's something special about the look of this watch.